The idea of living off-grid is popular with people who are looking to regain their independence from the modern world without the need to compromise their quality of life. There are plenty of remote locations across the UK which prove appealing to those looking for this lifestyle too. Although I’d be slightly worried that I wouldn’t be able to get a takeaway while living in some of these places, I wouldn’t mind spending a weekend there. Along with Flogas, a gas cylinder supplier which ensures you have more off-grid energy options, I’m exploring some of the UK’s most remote locations, and what makes them great places to live near to if you’re wanting to get away from the hustle and bustle of urban life – not a prosecco brunch in sight! Measuring in at just three miles long and one and half a mile wide, Fair Isle (and I’m not talking about my favourite winter print!) is a part of Scotland that is renowned for its wonderful community spirit, cultural heritage and remarkable wildlife which ranges from black guillemots, fulmars, puffins and razorbills to both grey and common seals as well as whales and dolphins. Owned by the National Trust for Scotland since 1954 the island, which sits between Orkney and Shetland, has most of its population living in the south. Despite its small size, there’s actually plenty to see and do around Fair Isle. 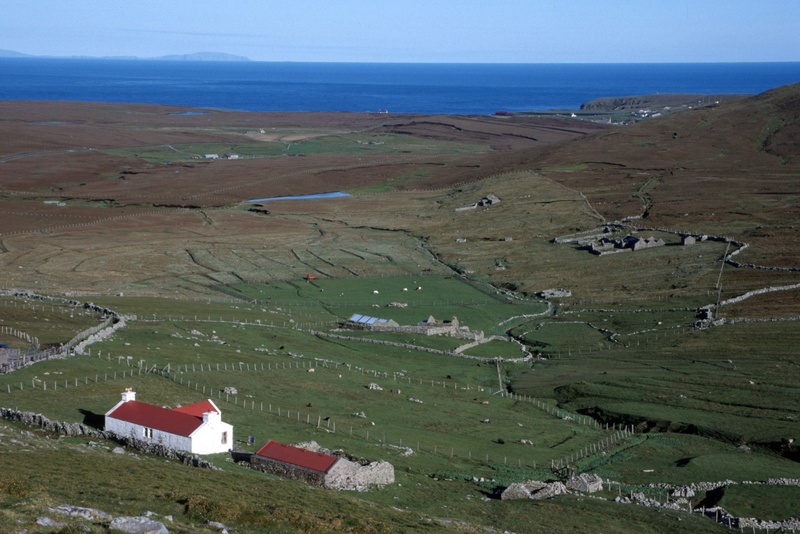 The Fair Isle Bird Observatory is world famous for its scientific research around bird migration and seabird breeding colonies, while the George Waterston Memorial Centre and Museum is the place to go to find a huge collection of artefacts which offer a glimpse into the location’s interesting past. There’s even a golf course — arguably the most remote one across all of Britain. Four! Meaning ‘bird island’, Foula sits 20 miles to the west of Wells in the Shetland Islands and lives up to its name by being host to one of the largest colonies of Great Skuas — or bonxies — across Britain. I love bird watching so this sounds ideal to me! 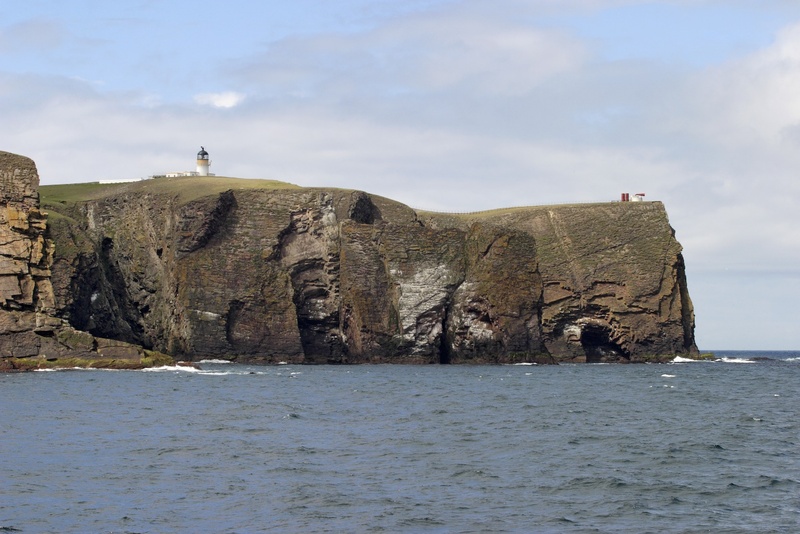 As well as wildlife to seek out, Foula is also the place to find the huge 1,200-foot-high Da Kame. These cliffs rise so high from the sea that on a clear day views can be enjoyed from their tip all the way across to neighbouring locations like Unst and Fair Isle. Great for the gram! The fact that the Knoydart Peninsula can only be accessed by either boat or foot just goes to show how isolated this 55,000-acre site is – and it looks absolutely incredible! 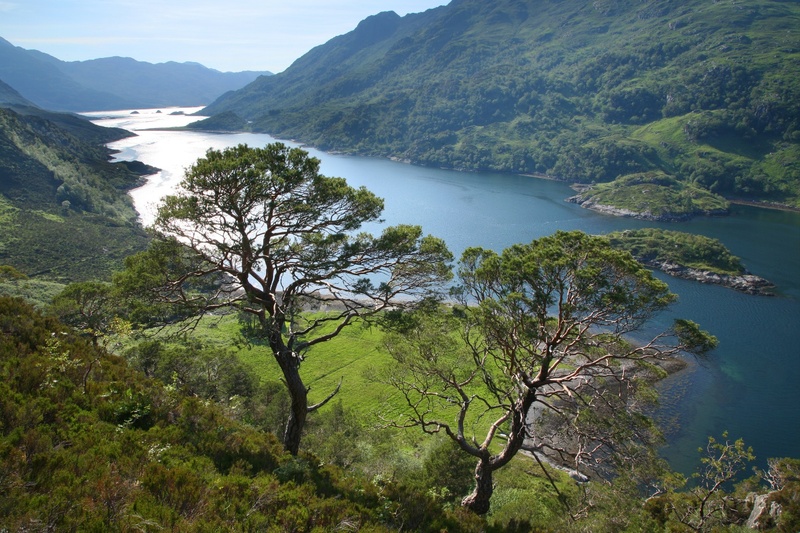 Nestled between Loch Hourn and Loch Nevis in the Lochaber district of the Scottish Highlands, the Knoydart Peninsula has been hailed as one of the last great wilderness areas in Scotland. With heart-pumping mountain passes to hike along, sandy inlets to explore and so much breath-taking coastal and mountain scenery waiting to be discovered, I think the Knoydart Peninsula sounds totally heavenly. As for where to call home, Inverie is the main settlement area of the Knoydart Peninsula and is the place to find the region’s primary school, post office, a selection of community shops, the Knoydart Pottery & Tearoom and The Old Forge Inn — the most remote pub in mainland Britain. It’s the perfect place for some locally sourced seafood and a glass of rose. I couldn’t find on the website whether they were dog friendly or not, but if they are then perfect! All these Scottish places are reminding me that I definitely haven’t explored Scotland as much as I’d like to – putting it on the list now! The birthplace of England’s Christian Heritage, the Holy Island of Lindisfarne off the Northumberland coast is so isolated that it is entirely cut off from the rest of the world twice a day when its paved causeway becomes submerged during times of high tide. It’s near to the town of Berwick-upon-Tweed, a place that I love. Fortunately, there is so much to see and do once you’re on the island that it doesn’t matter if you get stuck there! A peaceful and unspoiled land awaits, as does Lindisfarne Priory. Once the home of St Oswald, it was here that the precious Lindisfarne Gospels were created. 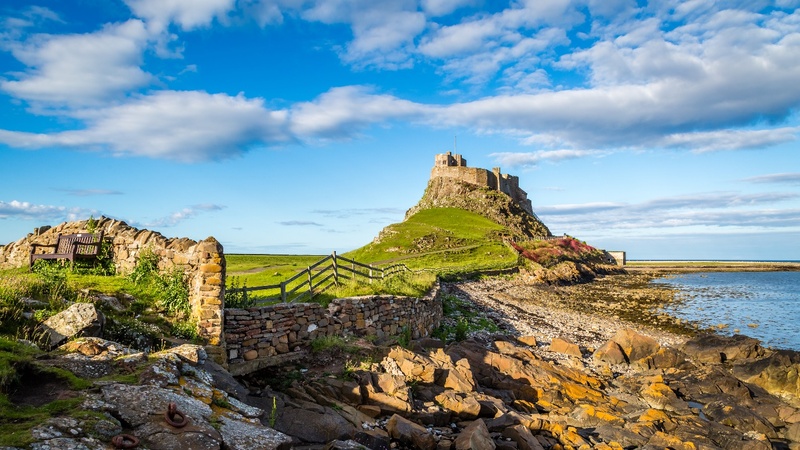 Lindisfarne Castle will also be difficult to ignore, especially since the 16th century structure — which now serves as a quirky holiday home following a makeover by architect Edward Lutyens — sits high atop one of Lindisfarne’s craggy hills. Perfect if you fancy staying somewhere a little unusual. Sitting on the southern-most tip of the Isle of Man — hence its name (get it?!) — the Calf of Man is only one and a half miles long and one mile wide. It’s surprising just how much can be packed into this 600-acre rocky outcrop though, which is currently owned by the Manx National Heritage. There’s a bird observatory and nature reserve to be sought out, for one, with the Calf of Man playing host to many species of birds — both seabird colonies and migrating birds — as well as a significant population of rabbits. Fans of nature will also be happy to hear that the island is primarily a destination filled with flat heathland and coastal grassland, while ancient burial grounds will appeal to those seeking history. 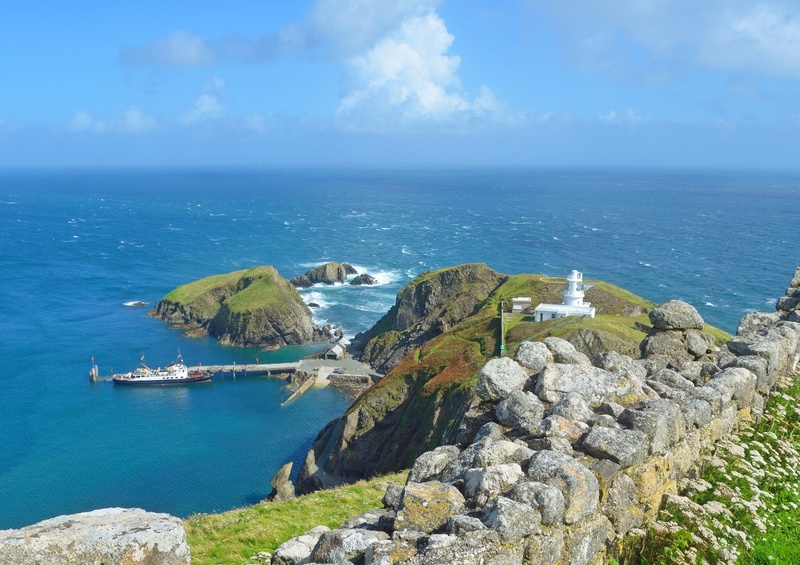 Situated 12 miles off the northern coast of Devon, Lundy Island is a small wind-swept destination that became quite well known in 2017 when it became England’s first Marine Conservation Zone. Owned by the National Trust, Lundy Island is a peaceful retreat which is traffic-free and there’s only a single shop and a single pub (better than none!) to explore. 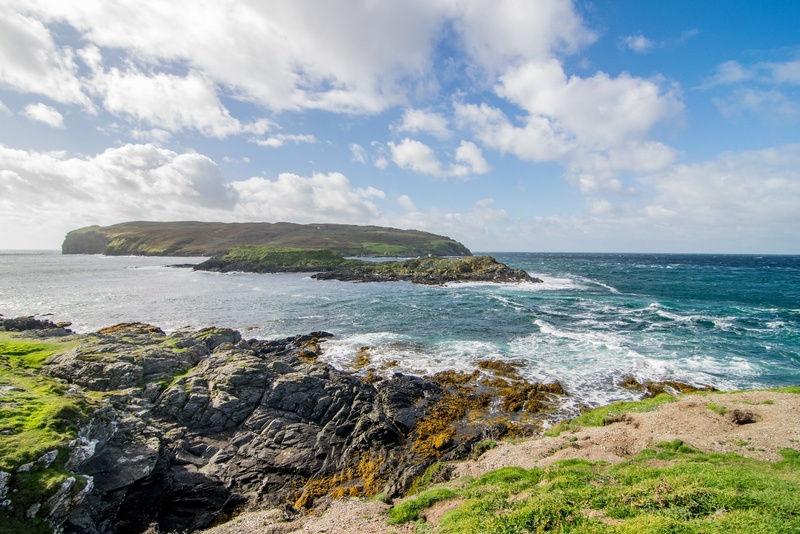 There’s also plenty of wildlife to spot – a variety of seabirds, grey seals, dolphins and even a basking shark or two can be viewed on or from the island if you’re lucky. 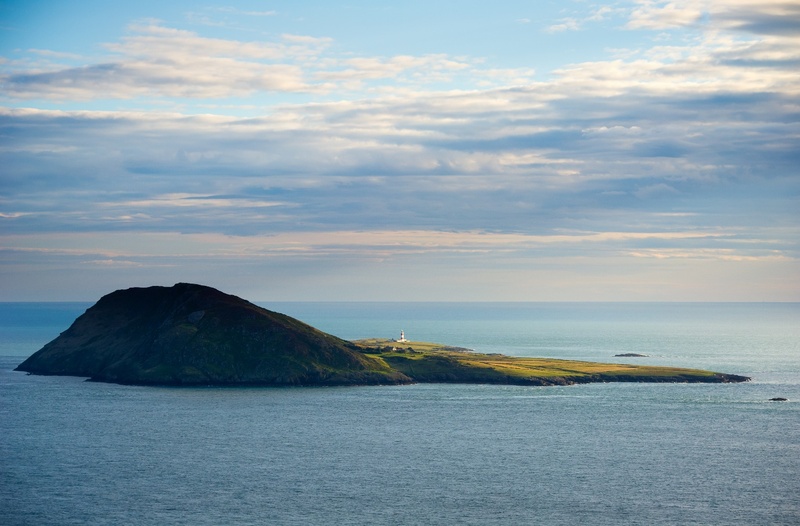 Sitting across from Wales’ rugged Lleyn Peninsula, Bardsey Island — or Ynys Enlli in Welsh as well as the Island of the Currents by its literal translation — has been an important pilgrimage site as far back as Medieval times. Historians will also be intrigued to hear that there’s a legendary claim that Bardsey Island is the burial site of King Arthur, while those after nature can enjoy daily views of migratory birds, dolphins, porpoises, rare butterflies and what is claimed to be the oldest apple tree in the world. *Population figures recorded as of 31/10/2017.